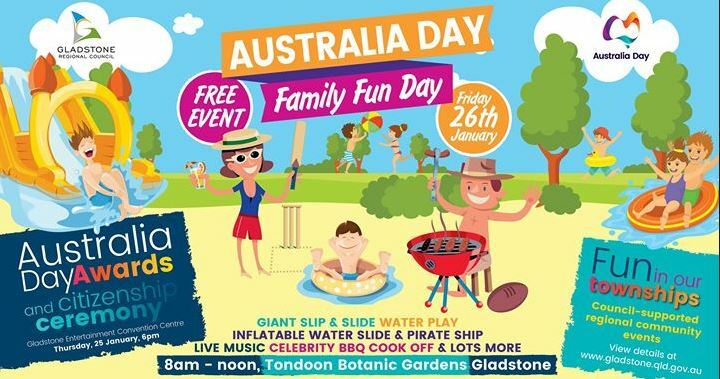 There will be reduced speed zones and traffic control near Gladstone Tondoon Botanic Gardens tomorrow (Jan 26) during Gladstone Regional Council’s Australia Day Family Fun Day. 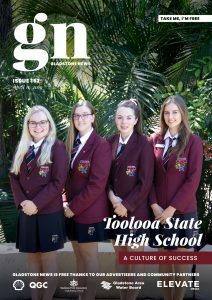 Gladstone Region Mayor Matt Burnett said the free community event would offer fun and entertainment for residents of all ages but safety remained a top priority. “The event will run from 8 am to noon and to ensure everyone has a fun day, pedestrians and drivers in the area are urged to be patient and follow any directions given by traffic controllers,” Councillor Burnett said. Disability parking will be available in the car parks just outside of the gardens’ gate with a traffic controller present. Free parking will be available in the car park alongside the gardens and parking will also be available in the Meteors Sports Club grounds for a gold coin donation. Cash only food vendors will operate. “Water play will be a major feature of this year’s free family fun day and attendees are reminded to stay sun safe too and take along drinking water, sunscreen, hats, sun-safe shirts, sunglasses and seek shade,” Councillor Burnett said. Surveys for the event will be given out at the gate with the first 50 attendees who return a completed survey to receive an Australia Day cap or bucket hat donated by Limestone Clothing. Residents who complete and submit a survey will then be in the running to win a $150 Oak and Vine voucher. Residents across the region can also attend a Council-supported regional Australia Day event at Bororen, Builyan, Captain Creek, Mount Larcom, Rosedale, Seventeen Seventy, South End, Turkey Beach, Ubobo or Yarwun.